Each of our three New Hampshire and our Scarborough, Maine, superstores feature a full-service golf repair shop, staffed by expert golf club technicians. Choose from dozens of grips and shafts to meet your specific, individual needs. We also specialize in modifying or repairing any club to improve your enjoyment of the game. 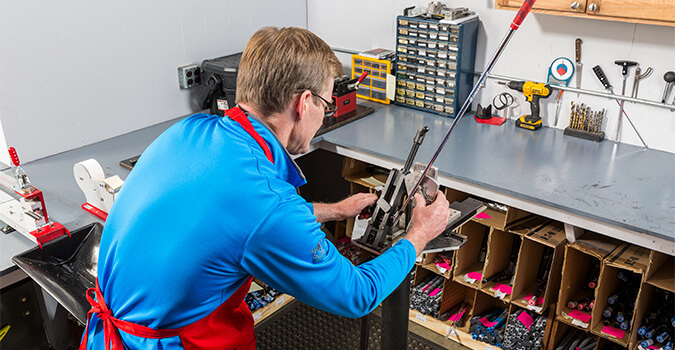 Whether it’s time for new grips, trying a new shaft, or adjusting the loft and lie of your irons, Golf & Ski is the place for all of your club repair needs. Our golf repair shops are open year round.